Above: Our Artisan Beef Bratwurst, Cajun Chicken Sausage, and Maple Brown Sugar Sausage. 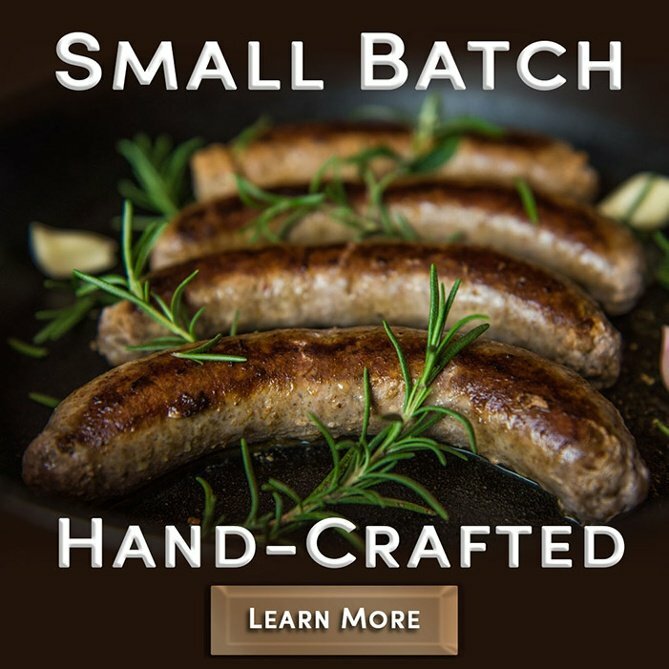 We use all-natural pork casings encapsulating cuts from our six different Pasture-Raised, Certified Humane, Certified Animal Welfare Approved, GAP 5, and Non-GMO species. We do not add any preservatives, binders, or extenders which may decrease the fresh shelf life. However, it will increase the flavor and provide a more appetizing experience with the “snap” of biting into a properly cleaned, high-quality pork casing. We ship all of the items from our online store, so these items will have plenty of shelf life to thaw slowly in your refrigerator. 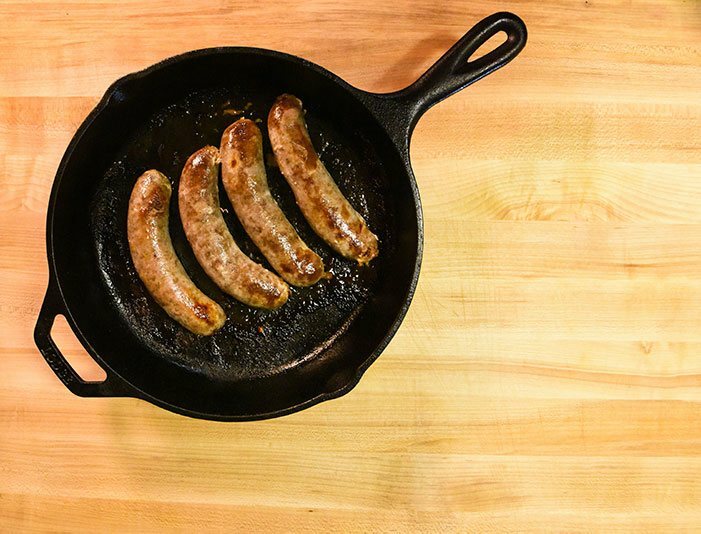 Our sausage links cook up perfectly in cast iron and their fresh ingredients create a snappy texture. 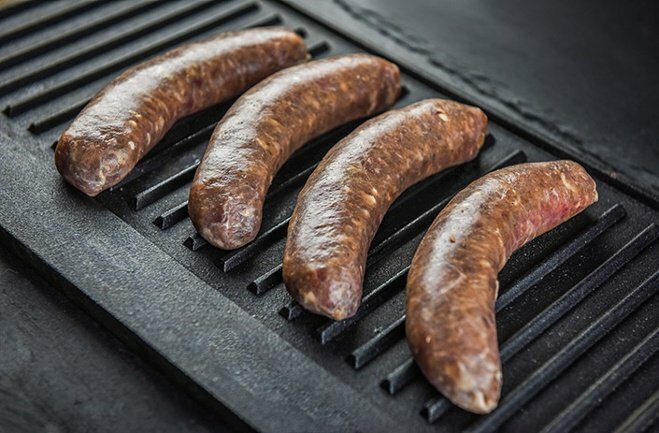 All factors of our leaner sausage, combined with an array of seasonings perfected by our staff allow us the opportunity to offer you the highest quality sausage produced. 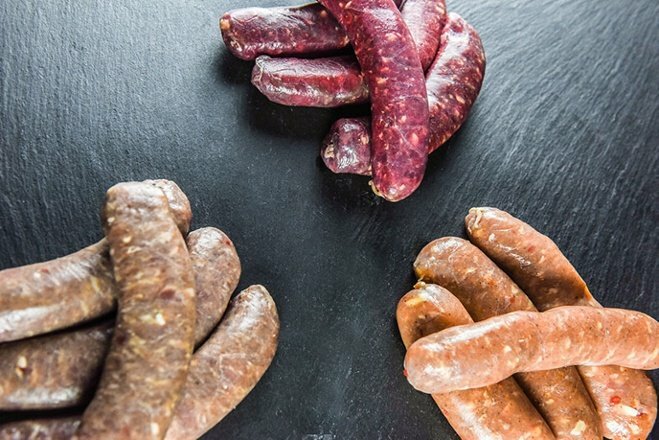 Our uniquely seasoned bulk and link sausage include Brown Sugar and Maple, Cajun, Chorizo, and Mild, Zesty, or Spicy Italian, each of which can be paired with different foods to create an impressive meal. Italian sausage can be added to Spanish-style noodles and Chorizo is key in Portuguese Fisherman’s Stew. Jambalaya, of course, is a classic for our Cajun sausage while our three different Italian varieties provide a classic meatball for spaghetti. Brown Sugar and Maple sausage is undoubtedly worthy of a bridal brunch! Our Maple Brown Sugar Sausage is a breakfast favorite at our General Store. Pasture-raised, no added preservatives, no binders or extenders; our sausage is as natural as the regenerative system that produced it. 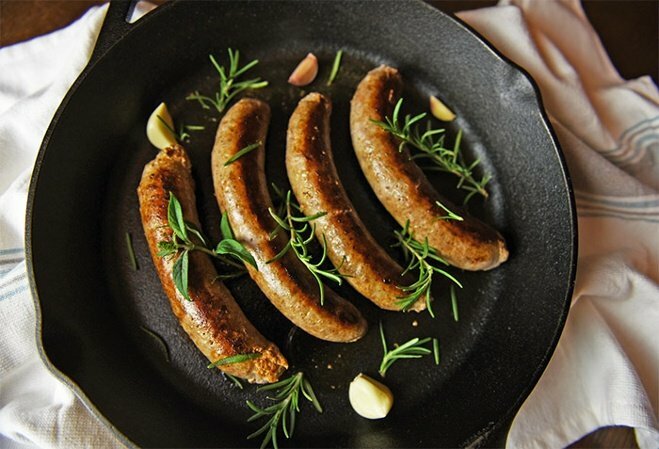 Whatever your preference, White Oak Pastures can conveniently provide you with your choice of the highest quality sausage available through our website or at our General Store in downtown Bluffton, Georgia. Either way, we’d love for you to come visit!